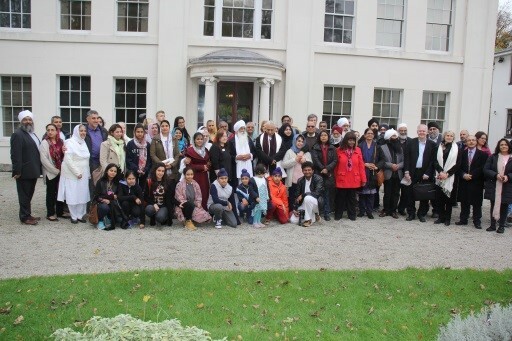 More than 120 representatives of diverse communities from across Birmingham and beyond came together for a ‘Walk of Hope for Peace and Harmony’ in Handsworth the 26th October 2017. The community came together as a sign of solidarity and recognition that whilst being different we have so much in common. 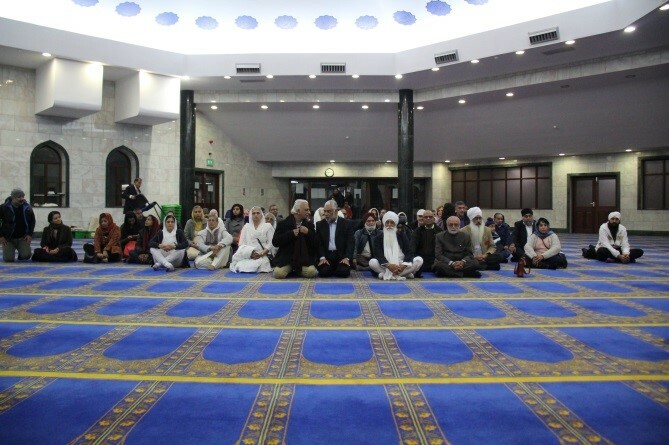 The event, planned, coordinated and meticulously carried out, respected and honoured all faith traditions and none to ensure a message of unity and peace was demonstrated. Word of the Peace Walk quickly spread through members of the local community, the faith community, social media and others interested in promoting peace. 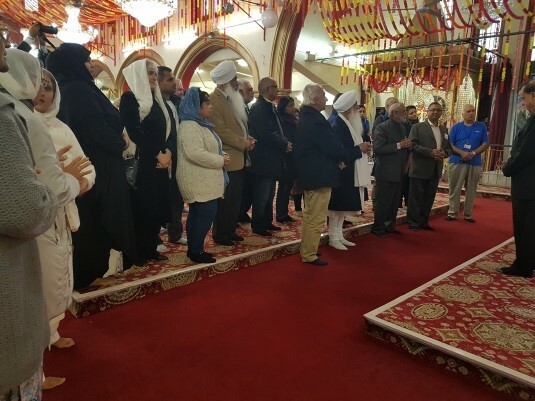 The event was attended by many laypersons, including several active City Council members as well police, faith leaders, school representatives etc. It was inspiring to see people arrive at the starting venue in traditional garments – robes, stoles, prayer shawls and head coverings – all respective of their faith traditions. From Sikh dastars (turbans), Christian vestments, the saffron robes of Buddhist monks to the head coverings of the Muslim kufi and the Jewish kippah—all faiths were represented and unified in their message of peace. Guests from India and mainland Europe, who had made special arrangements to join the walk and participate in the making of history, were amazed at the arrangements and participation. 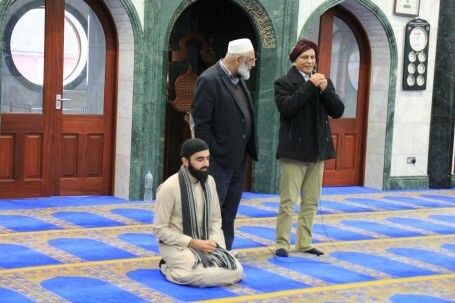 chief guest, Sri M, whose inspiration and discussions with Birmingham’s faith communities enabled the walk to happen was welcomed. 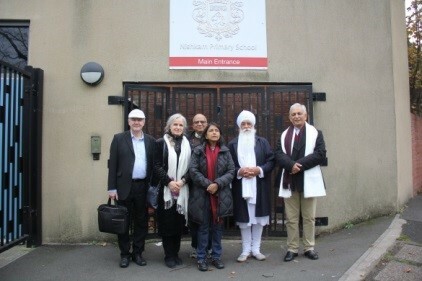 Sri M was accompanied from London with his wife and Lady Mohini Kent Noon. Sri M (from India) was welcomed to the Shree Geeta Bhavan by the General Secretary Dr Arun Sinha and other members of the Temple Board. 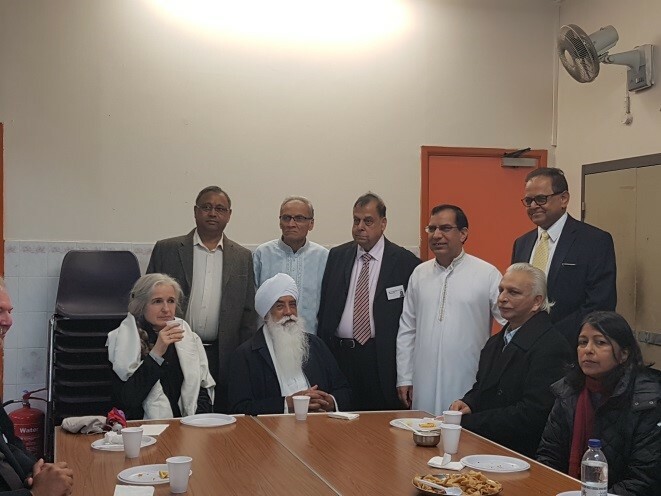 Other dignitaries and VIPs included Matloob Hussain (Lozells Central Mosque), Bridget von Baron (Netherlands), Bhai Sahib Mohinder Singh OBE KSG (Chair of the Nishkam Civic Association), Arvinder Jain, Upashak Bhatia, Cllr Quinnen, Cllr Hussain, Rabbi Lior Kaminetsky and many others. Satsang Foundation. Traveling extensively unto the present day, he has quietly gone about his life’s mission – teaching and guiding people as per his Master’s instructions: ‘Quality, not quantity. Spiritual evolution is individual and cannot be a mass phenomenon.’ Conversant with teachings of most major religions, Sri M says: ‘Go to the core. Theories are of no use.’ His message seeks to transcend the outer-shell of all religions, by exploring their mystical core to nurture the innate goodness in every human being. An example of the power of peace walks was seen in 2015-16 when Sri M led a Walk of Hope lasting some 15 months from Kanyakumari to Kashmir spanning 7,500 kms across 11 states of India for peace, harmony and tolerance. 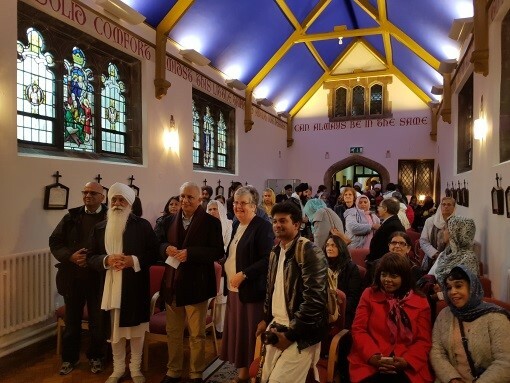 The multi-faith group then stood outside the New Testament Church of God and Sri M recited the Lord’s Prayer with all present before moving on to the Church of Francis of Assisi and St Mary’s Convent. The beautiful building and architecture was matched by the eloquent and fitting reception from Sr Norin and her colleagues. 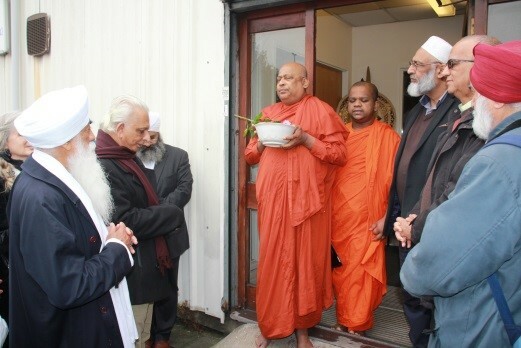 Arriving at the Birmingham Buddhist Maha Vihara, the group were met by Ven. Dr Witharandeniye Kassapa (OBE). The reception involved a prayer being recited in the doorway before everyone went inside to light candles of peace. This was then followed by a short walk to Gurdwara Babe Ke where all the guests had another photo opportunity before going in to the Darbar Sahib (main prayer hall). 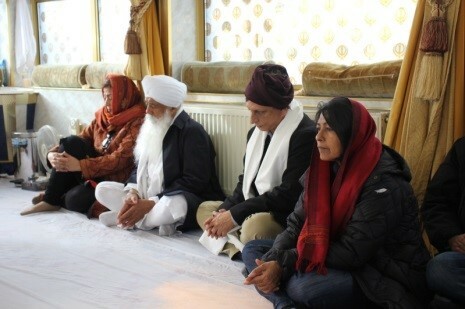 Here obeisance were paid to Sri Guru Granth Sahib Ji, an edict was received from Guru Ji, a supplication offered for peace, before a vote of thanks and light refreshments were served in the Langar hall. The next stop was St. Michael’s Church were guests were received in the courtyard before entering the chapel to recite a prayer. 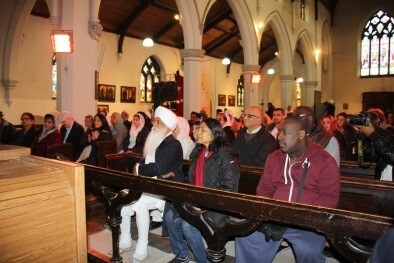 Sri M led the congregation through the Lord’s Prayer. Bhai Sahib Ji then suggested the walkers should pay respects to the proud fathers of the Industrial Revolution and a quick visit to historic Soho House was made. All were in awe when they realised they were standing in the heart of the Industrial Revolution. 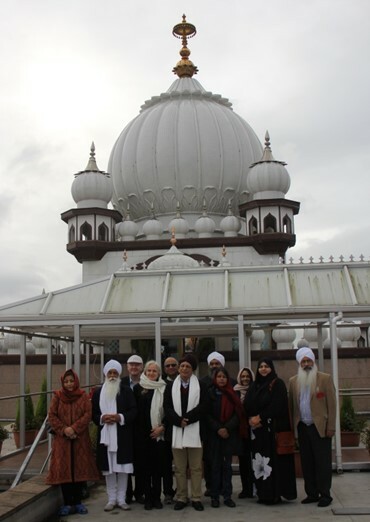 Some of the guests had a wish to view the Nishkam Primary School so Bhai Sahib Ji accompanied them on a brief detour, whilst the larger group made its way to the Gurdwara served by Guru Nanak Nishkam Sewak Jatha. 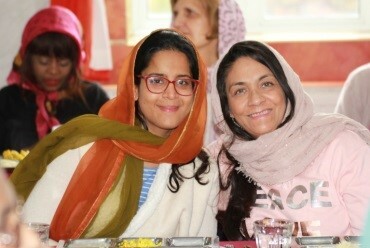 Langar (a blessed vegetarian meal from the Guru’s Kitchen prepared and served by volunteers). The Gurdwara is blessed with serving all visitors to the Gurdwara with Langar and an average of 25,000 meals a week are served to worshippers visiting the Guru’s abode. 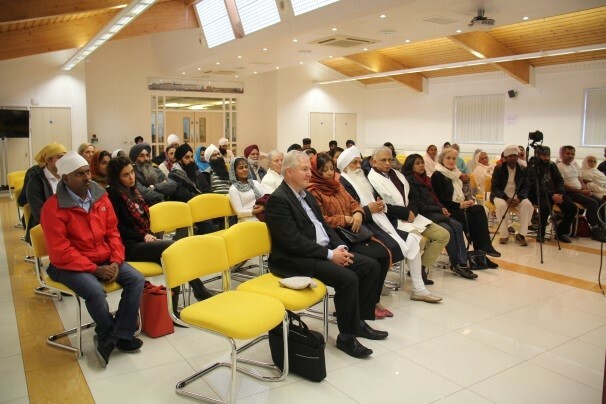 Following Langar, Nishkam Centre Director, Amrick Singh, welcomed everyone to the Nishkam Centre and congratulated all those present for creating and making history. He said people would remember the walk for years to come as a marker of the cohesion and love that was clearly on display as the walkers were welcomed with open arms, hearts and minds in to each other places of worship. The walk was a clear message from all that we are part of this community, we are all united—regardless of faith, race, colour, gender—whatever it may be is all secondary. The first thing is we are all human beings and this whole planet is a blessed sacred space that has been entrusted to us. Many said they participated in the peace walk because they wanted to show there are more people who are full of love, and those that hate are fewer and farther between. 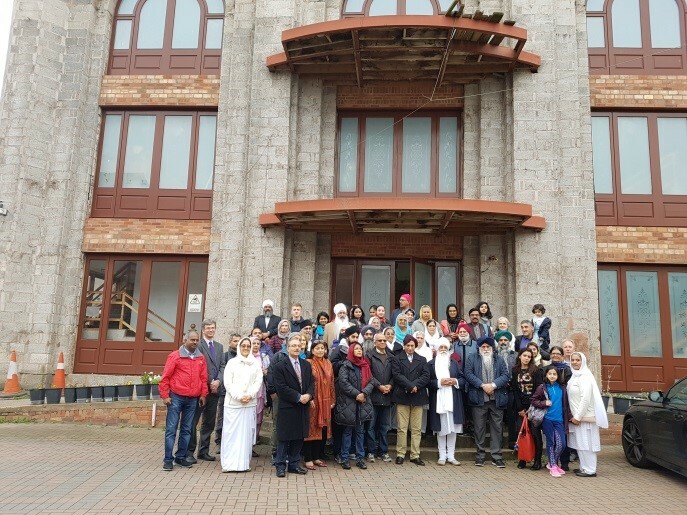 The walk, which was less than 3 miles long, ending at the Nishkam Centre concluded with messages from many of the chief guests including Sri M and Bhai Sahib Ji. These messages enunciated the need for unity, peace, forgiveness, compassion and humility. The need for faith solidarity and the need for a better appreciation and acceptance has never been greater.